Say Cheese! Should I Include A Photo On My CV? HomeFree AdviceCV Writing – Say Cheese! Should I Include A Photo On My CV? Following on from our article on what makes a good CV, we're regularly asked if a photo should be included on a CV. There are multiple arguments for the inclusion of a photo on a CV: it can personalise your application and set you apart from other applicants while also helping to build your “brand” (by having the same image on your CV and social media profiles). On the other hand, companies do not want to be put at risk of being accused of discrimination (which is why you will rarely see a UK company requesting a photo on a CV). As a general rule, a photo shouldn’t be included if applying for jobs throughout the UK. The only times this rule would not apply is for candidates looking for acting or modelling (specifically a position were appearance is important), or where a recruiter actually requests one. Dress appropriately. If you’re in a profession with recognisable uniform, show this in your image. For example, if you’re a Chef, wearing your jacket / tunic will make your CV’s target instantly obvious. 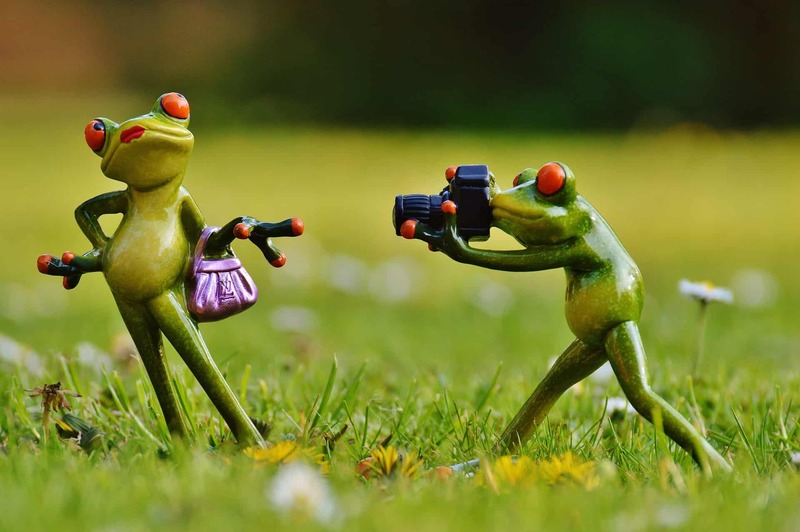 Consider using a professional photographer to prepare your CV’s photo. For consistency, this could then be used on your LinkedIn profile to help build your “brand”. Do not use a “selfie” image – this will look extremely unprofessional. Think more along the lines of a passport photo and avoid any artistic filters. Don’t use a photo of you on holiday in Spain last summer with your sunglasses on. This may sound obvious but we have seen CVs with photos like this attached! Embed your photo on your CV. The usual recommended location is in the top right hand corner. The size of your photo should be somewhere around 1.5 to 2 inches square (this type of image is usually referred to as a “2-by-2”). According to research, up to 88% (yes – 88%!) of CVs with images included were automatically rejected by recruiters. With numbers this high, is it really worth the risk of including one? "…a photo is often used to judge how presentable you are." In most European countries (except Ireland, the UK, Sweden and the Netherlands), a photo is usually expected. Local country laws can “cloud” this issue, such as in Germany where privacy laws prevent employers from requesting a photo on a CV (or Lebenslauf) - although it’s the norm to include one so will be expected, anyway. Labour and Anti-Discrimination laws differ globally. For example, in the UK, Australia, Canada and USA, it’s illegal for a company to judge someone on their appearance. However, in the Middle East, this doesn’t apply. As covered on our article on preparing a CV for the Middle East, in Dubai, a photo is often used to judge how presentable you are and what ethnic group you belong to. Teodora says: "Hello! How can I insert a picture into my C.V.? It’s an edited picture from my computer and it’s too big. I would like to make it smaller." Hi there! This all depends on the software you’re using. For example, if you are inserting the photo into Microsoft Word, you can use the built-in picture editor to reduce the size. However, if you’re trying to amend the picture before inserting it, consider using software such as Adobe Photoshop. If you don’t want to spend money on professional photo editing software, GIMP is a decent free alternative. Khem says: "Hello, I am looking to apply for an event’s organiser role. Would a photo on my c.v. be suitable for this position? Thank you"
Hi Khem. No, I don’t think you would need a photo for this situation. Maria says: "Hello, I’m applying for a position at a consultancy company who are looking for a customer services representative with an immaculate appearance to meet and greet visitors etc. What should my photo be like on the CV? Is it appropriate to include a whole body photo where I’m in a smart short dress and heels, or is a headshot the only way to go?" Maria – a head shot should be fine for a CV photo – if you use a whole body image, it would be hard to see as you’d have to scale it down to fit in on the page. Nasim says: "I’m applying for university admission and I’m wondering if I should insert my photograph in left side or right-side?" Hi Nasim. To be honest, I don’t think a photo is needed if this is a UK-based university application. However, if you did want to include one, it wouldn’t matter which side it was placed. Percival says: "I’m a graduate. I’m looking for my first professional employment as a mechanical engineer. Do you think it’s necessary to add a photo (wearing suit) on my CV in this kind of situation. One more thing: should I add my personal info like height, weight or eye colour?" Percival – providing this is for a job in the UK, none of this information or a photo is needed in a CV. Spencer Wood says: "Why not give a great impression by making sure that the photo is retouched first before putting it on your CV. This doesn’t have to be a celebrity style of “airbrushing” but rather to give the photo a professional/studio quality look. Fly-away hairs and spot removal can be done of course. Adding a subtle amount of vibrancy or converting it to a stunning black and white image can help make it eye-catching." Miroslav says: "Does the position of photo important? If yes, which side, left or right?" Hi Miroslav. There’s no rule here. However, it’s standard to see an image placed in the top right corner of your CV. Nima says: "I am thinking of putting a head-shot photo in my cv but not the passport sort of photo. Is it possible to do that? And what sort of photo is should NOT put." Hello Nima. As mentioned above, so long as the image is professional-looking with a neutral background, you’ll be fine. John says: "I’m applying for teaching positions… could a photo help? A few jobs ask for a photo, others don’t." Hello John. I would prepare two variations of your CV and only send the version with a photo included to those recruiters specifically asking for it. Stefan says: "Hi, I am applying for an internship in Germany. Do I have to use a photo in my CV :(?? I heard a photo in CV is a must there. Is it true?" Stefan – yes, it may well be worth including a photo for a German internship! Rico says: "Hi! I’m writing a Tabular CV as a part of my student application in a university in Switzerland. It’s one the requirements that they asked me to submit. And since they’re asking for a CV with a photo, I am wondering what size of picture would best fit this kind of CV. Your advice will be greatly appreciated. Thanks a lot." Rico – a passport size (or 2-by-2) photo on a CV is fine. Claire says: "I’m a full-time student and looking for part-time work, mainly in restaurants or retail. Would it look better to insert a photo in a general CV? So maybe they can link a face to the CV…and since these jobs have a lot to do with presentation, would it help or just look inappropriate?" Hi Claire. If these roles are based in the UK, the employers will not expect to see a photo on your CV so there’s no need to include one. Andreas says: "Hi, I am a foreign student in Sweden, applying for a teacher job here. Do I need to put a photo in my CV? Thanks for your time in advance." Hi Andreas. I’ve spoken to a couple of Swedish recruiters about this. And their general feedback was: “while not essential, it is seen as desirable by many recruiters in Sweden to see a photo”. Denise says: "I am relocating to England from Wales. Currently searching for a job, the jobs I apply for will vary, a picture is already on my cv. is it ok to include one, no matter which job I go for?" Hello Denise. No need to include a photo on your CV. Good luck on your move!